Michael Boggs grew up in Oakland, Maryland and attended Kent State in Ohio before moving to Charleston, South Carolina. While at Kent State, Michael studied computer science and got a job installing security systems following his degree. 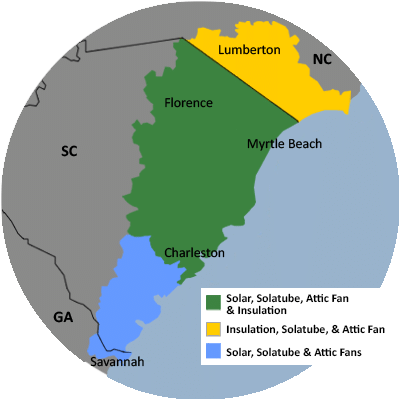 Upon moving to the beach and noticing the impact that our harsh weather has on homes, he found an interest in energy conservation and decided to see how he could get involved in bringing home comfort and energy efficiency to local homeowners. Michael loves finding new ways to make things run better and believes that energy conservation is an everybody wins scenario. Michael enjoys having quick access to the water for paddle boarding, hiking, and running. As an avid breakfast food connoisseur, he spends his mornings off locating the best breakfast restaurants in Charleston.